Suffering from a broken heart or a Abusive Relationship? Afraid you'll never get over this feeling of emptiness and loss? You can, and with the help of this easy-to-follow program of action, you will. Dealing with heartache. We have all been there, and its tough. There are no shortcuts to feeling better. It is good to reflect and remember the good times. and even better to share the pain from a broken heart. I believe that grieving of a loved one who hurts us, helps us to accept when its over. "There is one pain I often feel which you will never know because it is caused by the absence of you." "Trying to forget someone you love is like trying to remember someone you never knew." "When I Look At You My Heart Skips A Beat But Later That Beat Could Mean A Lifetime Of Tears Wasted On Something,Who will never keep my Love Forever"
"Now this gravel in our voices, glass is shattered from the fight. In this tug of war, you’ll always win, even when I’m right. that all these battles are what keeps You satisfied. & takecare of the faults of yours !!" 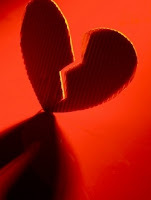 Heart Break Is Painfull....Its a Sad Story !!! and even if it kills me- I'm going to smile." "It is not enemies who taunt me — I could bear that; it is not adversaries who deal insolently with me — I could hide from them. But it is you, my equal, my companion, with whom I kept pleasant company; we walked in the house of God with the Promisses…But now you are with speech smoother than butter, but with a heart set on war; with words that were softer than oil, but in fact were drawn swords.Husbands, love their wives, never treat them harshly! !You can act Really well,in front of others,and open my faults one after one...But i can't.So i prefer to tell the truth,when i feel frustrated." "I loved you once I'll love you again, even though we will be not together, I 'll be with you until the end !!!" Honouring Motherhood Is Our Pride !! !